Today’s car buyers are doing extensive online research before going to a dealership to test drive and buy a car. Your customers are tapping into countless online sources – including dealership websites, social media, consumer review sites and price comparison resources – to become as well informed as possible about available makes, models, added features and pricing. Given the shift from printed brochures and newspaper ads to digital retailing, your online reputation is more important to your dealership’s overall profitability than ever before. We’ve pulled together several ways the shift to digital retailing has impacted the car buying journey – and how you can hire your best team to support a positive customer experience and, as a result, a positive online reputation. As consumers spend more time researching online before making a buying decision on a car or just about any other purchase, they place great trust on reviews from fellow shoppers. In fact, 82% of consumers say recommendations from family and friends impact their buying decisions and 66% said the same about consumer opinions posted online, according 2017 Edelman Trust Barometer. This means your dealership needs to provide a top-notch customer service, so your customers recommend your dealership to their friends, families and online networks. Since car buyers spend a significant amount of time researching cars online and reading consumer reviews, they no longer spend a whole Saturday going from dealership to dealership to learn more about cars or find best deal. While the average consumer used to visit 5 dealerships before making a purchase, this number has dropped to about 1.6 dealerships. This means car buyers have likely already made a decision before walking into a dealership and the only thing standing between your customers and their new vehicle is your people. Even if your customer has made a buying decision, if he or she doesn’t have a great experience at your dealership, chances are they’ll leave to go to the dealership down the road. And a poor experience can also lead to a negative online review or your potential customer telling family and friends to steer clear of your dealership. With increased use of social media and online reviews, dealerships are investing more in reputation management services and solutions than ever before. Reputation management solutions alert dealers to any dealership mentions online, create action plans to respond to negative reviews and campaign for good reviews to build a positive online reputation. 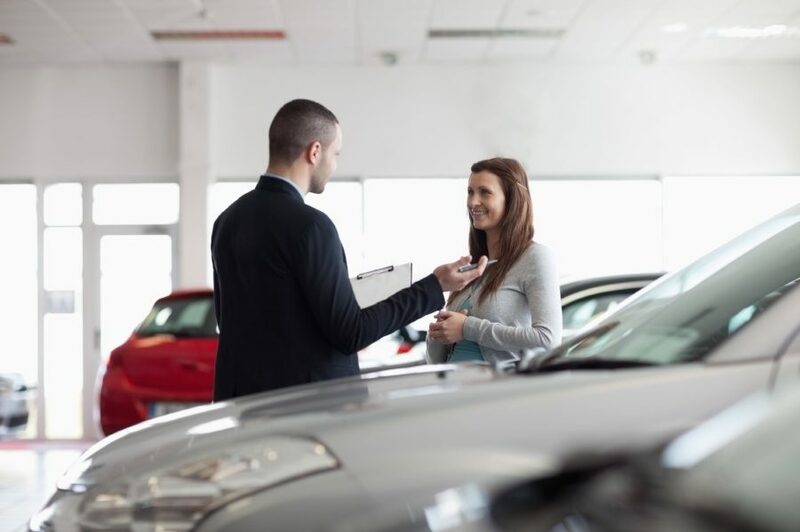 But dealerships can take some responsibility for reputation management into their own hands by hiring the best to support a great customer service. In many cases, the reasons dealership brands take a hit is poor customer service, so by hiring the right employees, this can help improve online reviews, social media mentions and overall brand reputation. Great customer experience is critical to a positive online reputation and overall business success, so hiring and retaining your best team should always be a top priority. One way to support the best customer experience possible is to rethink the job roles at your dealership. With car buyers walking into your dealership with so much information of their own, the buying experience has shifted to sales and fulfillment. Given this shift, many dealerships have hired product specialists, which have in-depth knowledge of complex technology features and can provide customers with comprehensive training needed to fully understand the technology in the car. And without added sales pressure, product specialists can build rapport with customers, and customers will value their knowledge, recommendations and the customer experience as a whole.